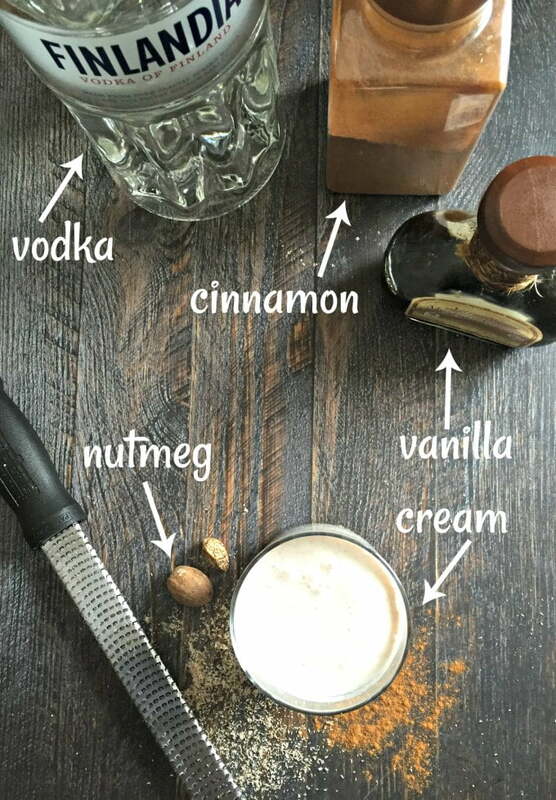 Low Carb Vodka Chata Drink Recipe - can use rum too! 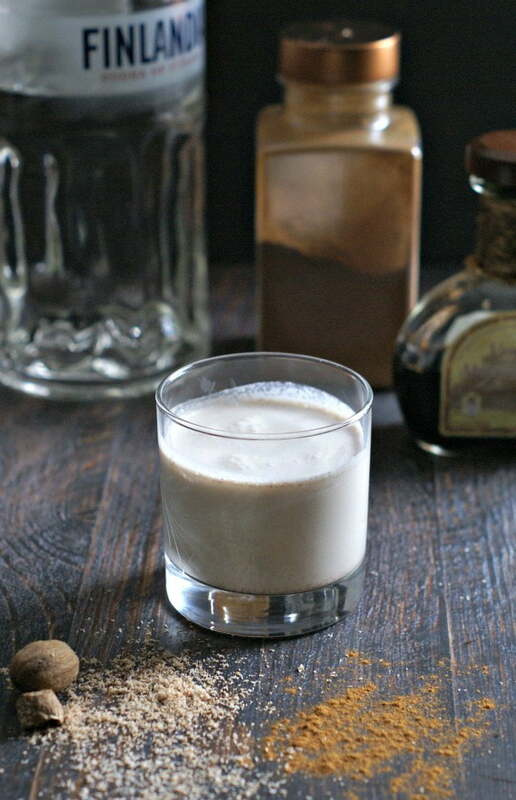 This low carb vodka chata is a delicious drink recipe similar to RumChata. It uses vodka and low carb ingredients for a tasty winter drink. Each serving or drink has only 0.6g net carbs and you can use rum too if you wish! You might also like this low carb mojito infused vodka! Recently while at “book club” at my sister’s house I had the pleasure of tasting RumChata. I had not ever heard of it before but boy was it tasty! It’s like a warm, spicy white Russian. Anyway I really liked it and when I got home I thought, “I bet I can make rumchata drinks that are low carb”. 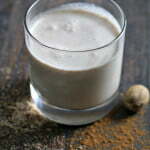 So today I give you my low carb vodka chata drink! RumChata ingredients are essentially rum, sugar, vanilla, cinnamon and cream based on a traditional drink called a horchata. On RumChata’s website they say “Rum & Horchata had a love child and it’s delicious”. I agree. Ingredients for low carb vodka chata. There is not much to this as I’m not using rum or sugar. 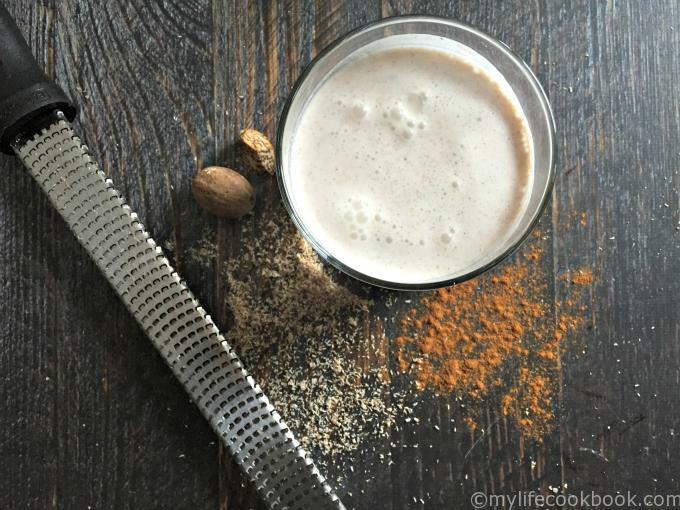 The main ingredients of this drink are vodka, almond milk, cream, cinnamon, fresh nutmeg, vanilla and stevia. Just add them to a blender or shaker and serve over ice. It’s nice. Even my hubby liked it and he’s not much of a creamy drink person. Can you use Rum instead of Vodka? Yes. When I originally made this recipe I thought rum had carbs since it’s made from sugarcane byproducts. But like vodka it doesn’t have carbs and you can use that if you wish. I personally like vodka better so I used that. The amount of vodka that you use is up to you. I would advise using a middle shelf vodka however I would say that for most drinks. There are only 0.6 net carbs in this drink. I personally only have one…ok maybe two as it is a drink you like to sip and tastes like dessert. 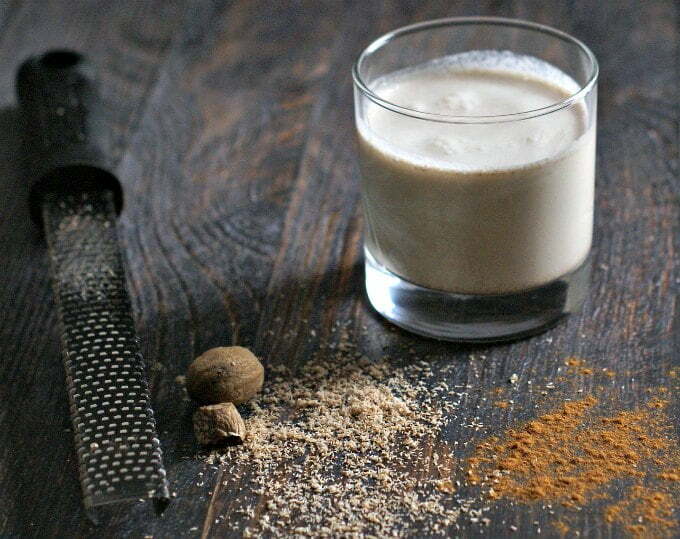 This vodka chata uses nutmeg and cinnamon spices. I hope you like this rumchata recipe as much as I do and if you don’t care about carbs I recommend going out and buying some RumChata. It’s really good! Rumchata Nutritional Information(4.5oz) found on their website. For more low carb vodka drinks try these recipes! This low carb vodka chata is a delicious drink similar to Rum Chata. It uses vodka and low carb ingredients for a tasty winter drink. Add all ingredients to a blender and mix on high for a few seconds. Yum! Made it with spiced rum and omitted the nutmeg. So delicious! So glad you liked it! I’ll have to try that sometime. Hi Tara, sorry it didn’t work out for you. It should taste more of cinnamon than nutmeg. Maybe your nutmeg was fresher than mine? When I first posted this recipe I thought rum had carbs so I used vodka. Also I just like vodka. However you can also use rum if you like. Thanks for taking the time to comment! Also new to Keto and went a month before I realized you can drink Gin & Vodka. And make yummy drinks to boot! So enjoyable on a cold winter night! Thank you Denise for your website! I too went a while before I realized there are no carbs in many alcohols! Also dry champagne and some wines do not have too many carbs either so I was happy to learn that too. Thanks for taking the time to comment and good luck on your Keto journey! Hi Denise, was searching for a Turkey day drink to take to the fun run/turkey trot and googled and this came up!! Yay! Thx!! But I think I’ll make both, the rumchata version and this vodka version!! If you want to walk you are always welcome to join in on the turkey trot. Happy Thanksgiving Denise and family! Oh that’s so nice of you to ask. We have two Thanksgivings so I doubt there will be any trotting going on. More like waddling haha! Rum would be perfectly fine. I made this a long time ago and I didn’t realize that rum does have any carbs either so it would be fine. I’m not much of a rum drinker so I just made it into a vodka drink. Have a good turkey day! I’m so glad I found this, I’m responsible for 1 cocktail every Christmas, and since diagnosed with type 2 diabetes I’ve been going crazy trying to find something everyone can drink. Question, do you think I can substitute Almond vanilla milk for Coconut vanilla? Or does the Almond add to the flavor? The almond milk has very little taste in my opinion. I don’t think it will be a problem though it might have a bit of a coconut taste? It could even taste better! Good luck! Sooooo gooood!! It’s like Christmas in a cup!! So glad you like it Melissa! Forget ‘winter’! I’m having this poured over ice on the balcony in 30C! This surpassed my expectations. Beautiful after dinner on hot days. Thank you! Can you make this ahead and refrigerate it? I think if you don’t add the alcohol you could refrigerate it and then give a good shake or blend before you drink it. Hope that helps! Just curious, why do you not use rum? Unflavored rum doesn’t have carbs. Is there a reason to use vodka instead if rum? I just prefer vodka but of course you can use rum. Enjoy! I found the nutritional data on Rum Chata’s website. Here is the link. Rum chats has 16 carbs per serving. It’s made with sugar. Hope that helps. Can’t wait to sip this! I’ll make one for you next time you are at my house!